We are looking for passionate R&D members to develop new technology solutions for improving and expanding Rakuten's business. Successful candidates will also demonstrate enthusiasm and possess a commendable work ethic, team spirit, and communication skills. 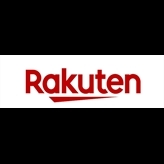 Rakuten is one of the world's leading internet companies. We provide consumer and business services in E-Commerce, Digital Content and FinTech. We even have our own professional baseball team. We are growing fast, and moving confidently into new geographic regions and markets through ambitious programs of development and acquisition. Our business model is the Rakuten Ecosystem, which connects all our services with the goal of giving everyone a single, integrated and seamless experience that deepens and enriches with time. We want to fully realize the promise of the internet to empower people and society. Though we count our users in millions and our revenue in billions, we retain that entrepreneur's start-up mentality of daring innovation. We never feel complacent about the last 20 years of growth. We only look forward to an even more remarkable future.